Exclusively Ours!! Well-defined fit, this bespoke Blue jacket with a black flat front pant and vest is all about a polished, masculine appeal. 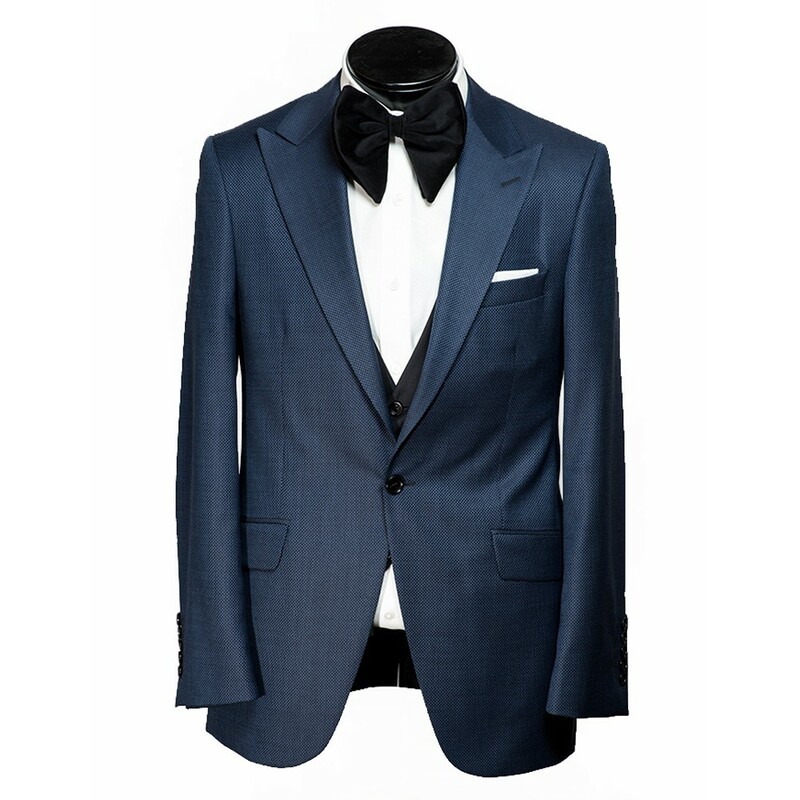 Cut from pure S160’s wool by Die Caprie, this single button suit carries slanted flap pockets and dual vents, and features a peaked lapel and structured shoulder.